A living museum presents special challenges to its curators. At the Chicago Botanic Garden, we not only acquire and display our collections, but we must also keep them alive and healthy. As curator of the Garden’s collection of woody plants, I’m responsible for the welfare of more than 13,000 trees. Disease, infestations, and extreme weather events are the kinds of things that keep me awake at night. 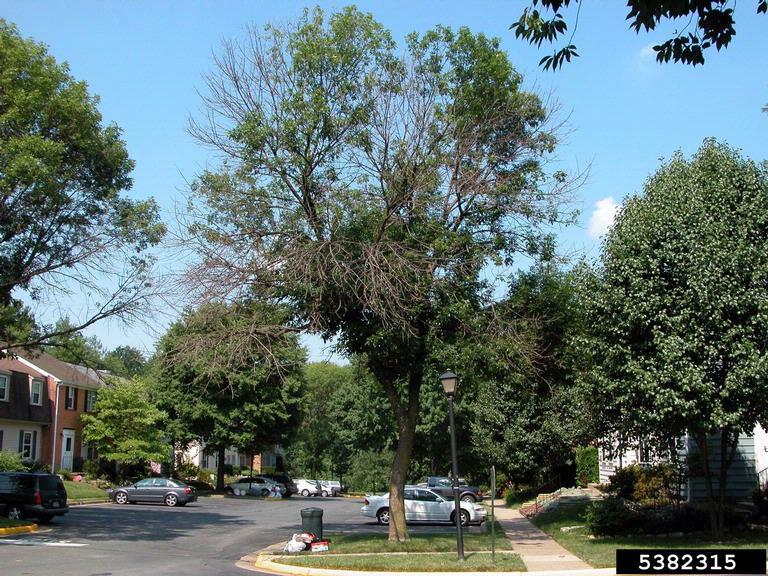 If you have recently lost a tree to emerald ash borer, you may wish to view our short list of ash replacement selections. Our full list of suggested trees for adaptive planting is linked below. As you may know, the Garden is undertaking a ten-year plan to remove about 400 trees due to the emerald ash borer. It’s up to me to suggest suitable replacements to continue our tree legacy. To do so, I first needed to know which of the trees now growing in the Garden would continue to thrive in a warming urban environment. Thanks to a $120,000 research grant from the U.S. Institute of Museum and Library Services, we’ve been able to undertake an adaptive planting study to identify which trees will continue to thrive in Chicago’s urban forests under worst-case carbon-emissions scenarios. Climate-change modeling indicates that some trees—those currently growing at the northern edge of their hardiness—will actually do a little bit better in slightly warmer conditions around 2020, but by 2050, ten of the 50 trees under study—20 percent—will no longer find the metropolitan area a welcoming habitat. The real concern sets in when we look at the data for 2080, which projects that only 11 of the initial trees would continue to do well in Chicago and the upper Midwest. The trees growing along our city streets, parks, residences, and public gardens enhance the quality of metropolitan living and also play an important role in reducing greenhouse gas emissions. The cooling summer leaf canopy reduces our energy needs, and the trees themselves store significant amounts of carbon. Our adaptive planting study suggests two key calls to action: drastically reducing carbon emission to slow climate change and help protect existing trees, and carefully selecting the trees we plant for future generations. To help both public officials and private property owners in their tree selections, the Garden has created an Adaptive Planting page on our website. There you’ll find information on a selection of 60 suitable trees for 2050.